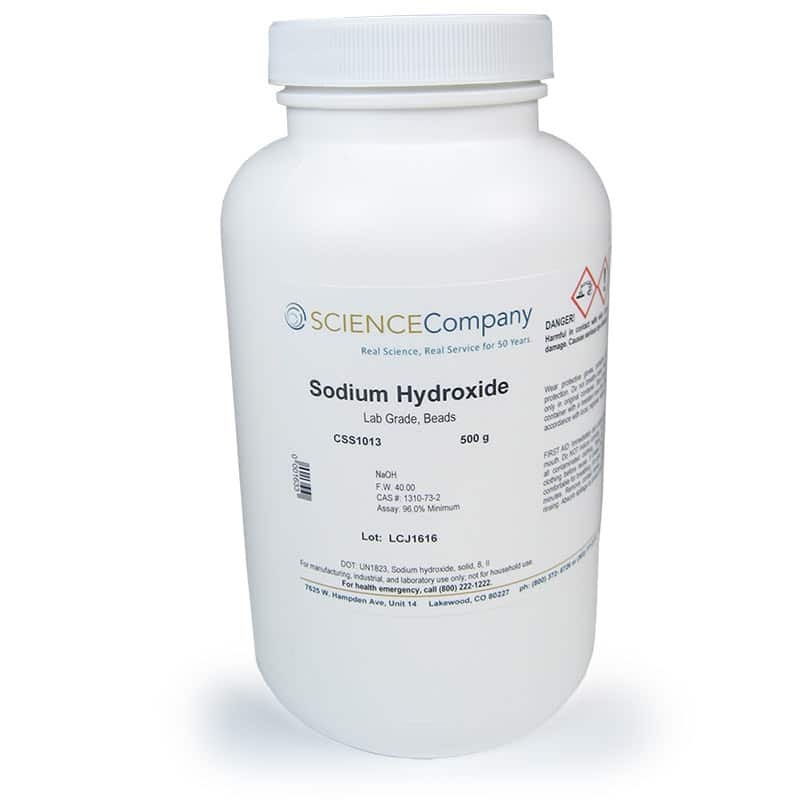 Lab Grade Beads Sodium Hydroxide (Lye), 500g for sale. Buy from The Science Company. Also called Caustic Soda and substitutes for Red Devil Lye, sodium hydroxide is a white deliquescent solid soluble in water, alcohol and glycerol. It has uses in multiple manufacturing processes. Commonly used in soap making and as a catalyst in biodiesel production. 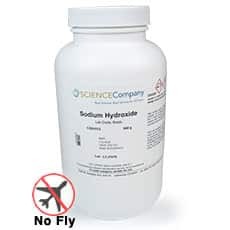 Sodium Hydroxide only ships to destinations within the 48 contiguous US states and Canada using Standard Ground. No air deliveries allowed.